The gorgeous spring sunshine beckoned us outdoors yesterday, so we headed up the coast and after a few stops and starts, we parked at Wombarra Cemetery. 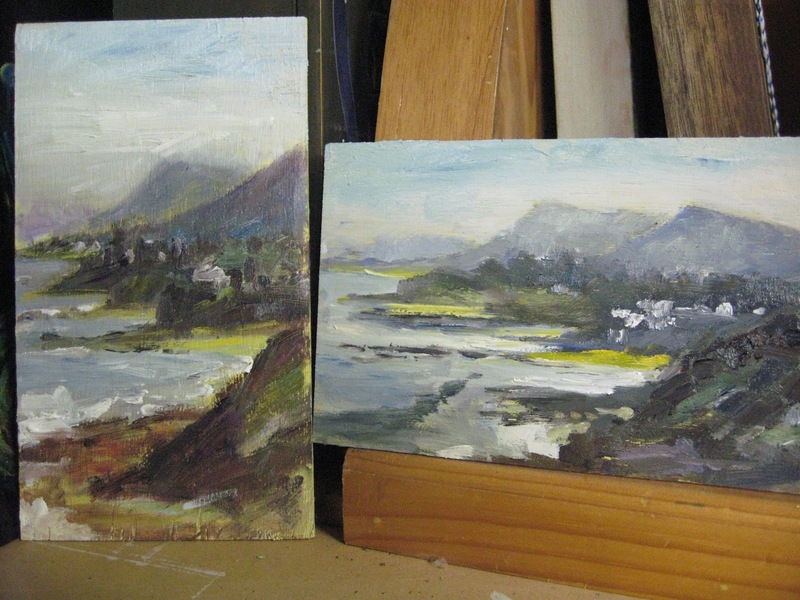 Wow, what a view north and south, so hard to choose which view to paint. 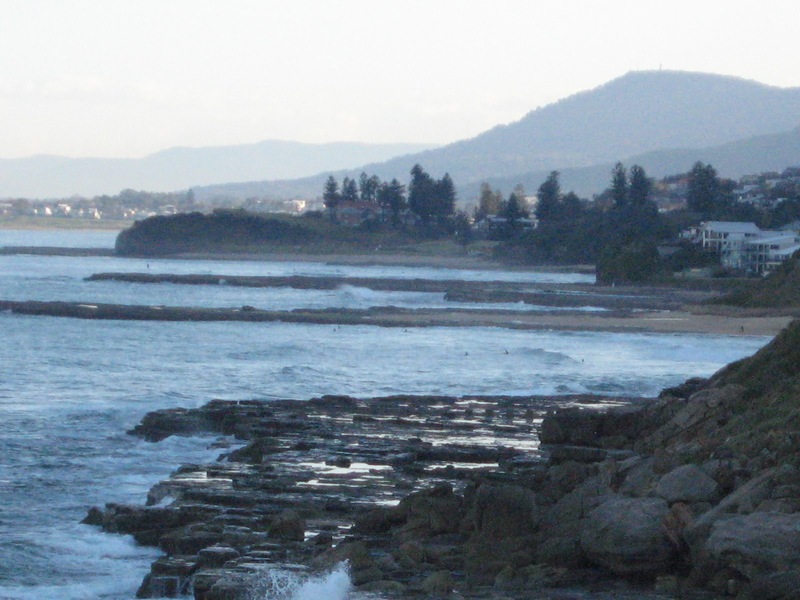 I know the challenge for the plein air artist is to paint the obscure, the uninteresting, and to create interest in the "unlooked-at" view, but it is hard to ignore the spectacular scenery here on the south coast. 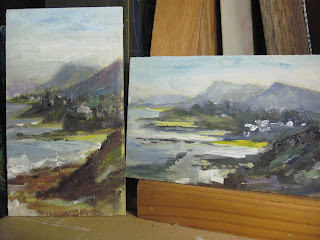 Before the sun set behind the mountain, and the temperature dropped 10 degrees in 2 seconds, I speed-painted my way through two views, looking south... just little boards. We can go back another day for a larger work, when there is a longer window of sunshine and Peter has his rock fishing rods on board. Peter wandered round the graveyard and decided there is no longevity in gravestones. The messages are corroded by time so quickly, just like the memories in our minds I suppose. Next visit I would like to try a painting of the headstones, set against the dark background of the mountain. I, of course like the green.